One of the best parts of my job as the Mayor of HeidiTown is visiting a town that I’ve never stayed in before. So I was overjoyed when the folks in Montrose contacted me and asked if I’d like to cover their Oktoberfest. Ryan and I arrived to town on a late Friday afternoon and after checking into the Hampton Inn we headed downtown. While the population of Montrose is less than 20,000, they have a fairly good size downtown area. We walked around a bit, noting the large number of independent shoe stores on Main Street. The good folks of Montrose must really like nice shoes, which is great because I do too. I ended up buying a pair of adorable clogs at D’Medici Footwear & Clothing before the weekend was over. We ate dinner at Horsefly Brewing Company, a brew pub with one of the best patios in Colorado. We enjoyed this brewery and patio again on Sunday morning at the Montrose Oktoberfest’s special brewer’s brunch with Stray Grass, a super fun band from Grand Junction. Later that evening a long line on Cascade Avenue caught our eye. 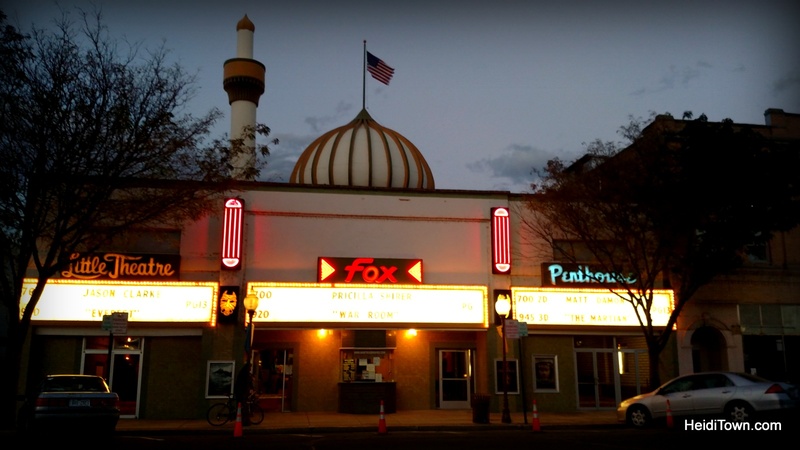 People were lining up in front of the Fox Theater, an historic movie theater built in 1929. It warmed my heart to see this place so packed. Many historic theaters have been moth balled or worse. Too tired for a movie, we skipped the theater and chose ice cream instead. 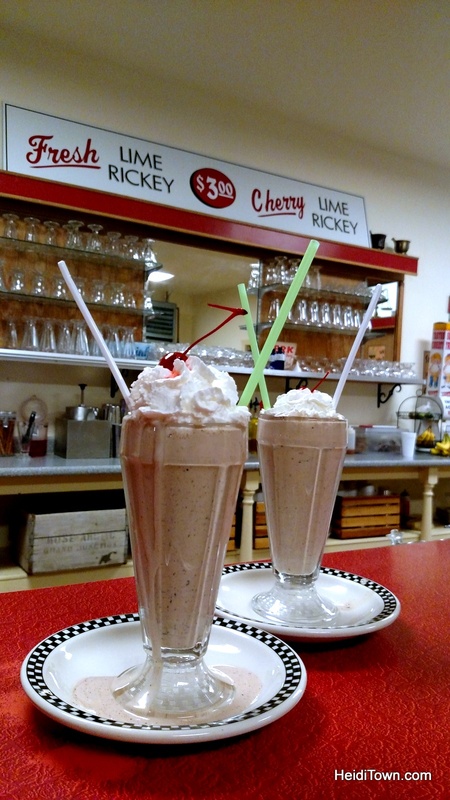 Main Street Ice Cream is a true throw-back, and we indulged in a Reese’s Pieces malt concoction that the soda jerk (that’s really what they are called) had invented. It was the perfect way to end our first day in this vintage Colorado town. The next morning we took advantage of the full hot breakfast offered by the Hampton Inn and then hit the road for the 20 minute drive to Black Canyon of the Gunnison National Park. I’ve written all about that adventure here. 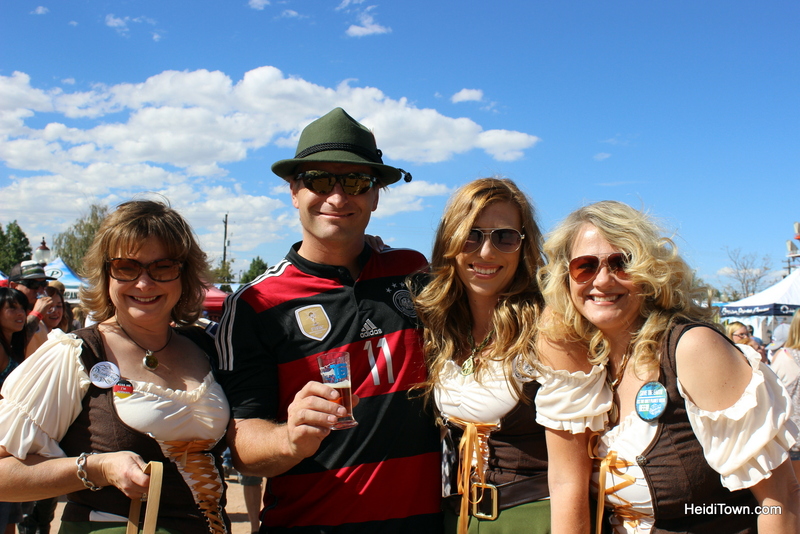 Back in town we spent the afternoon at Montrose Oktoberfest drinking beer and making friends with perfect strangers. In my opinion there’s no better way to spend an unseasonably warm October day. That evening we dined at the highly praised Colorado Boy Pizzeria & Brewery and I proceeded eat one of the best pizzas I have ever had. It’s called the Rustica and if you like ham, order this when you visit. I will be stopping by to eat the Rustica every time I’m in Montrose. We’ll have to go back to experience the other things Montrose has to offer. There are museums and a never ending list of outdoor activities available. We did briefly stop by the Colorado Yurt Company. Ryan’s got yurts on the brain. Who knows? Maybe one day the Mayor’s Mansion will be a yurt! Mayor’s Note: In the past we’ve stopped for breakfast in Montrose at Daily Bread Bakery & CafÃ©. They make a fantastic breakfast. Thank you to All Points Transit & Visit Montrose for hosting us on this trip. Thanks for the tour, Cliff. 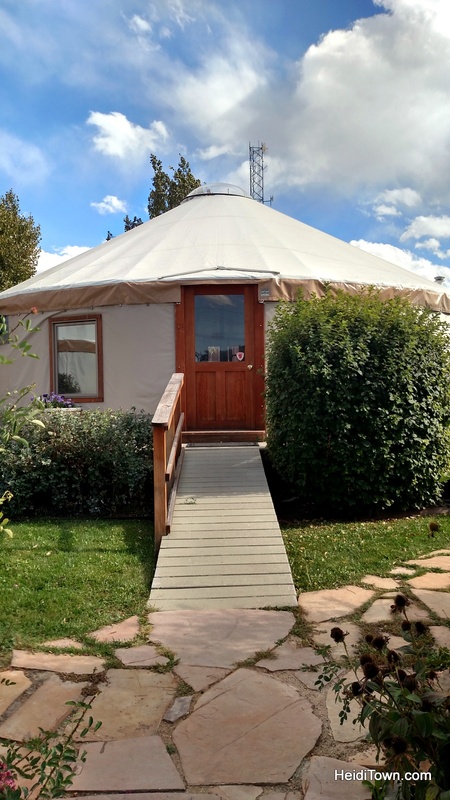 We thoroughly enjoyed visiting the Colorado Yurt Company. Thanks for stopping by HeidiTown! Super article. It was great to meet you and Ryan. Stop by anytime you’re in the area. It was wonderful to meet you, Emma! 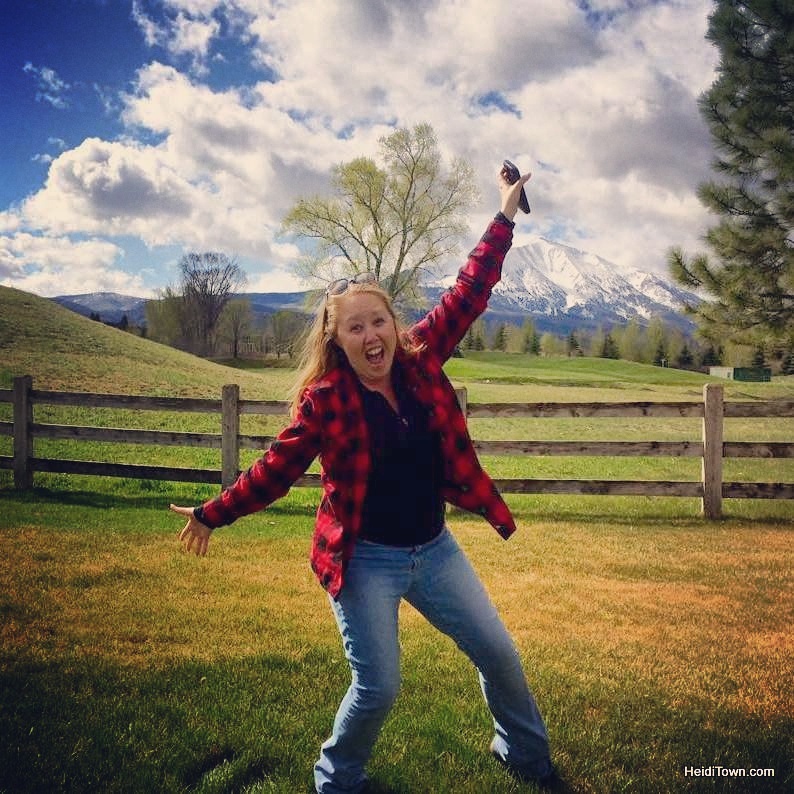 We loved touring your company and dreaming about the yurt life. Thanks for visiting our wonderful town! We LOVE living here and enjoy sharing it with others. We’ll definitely be back to Montrose one day. 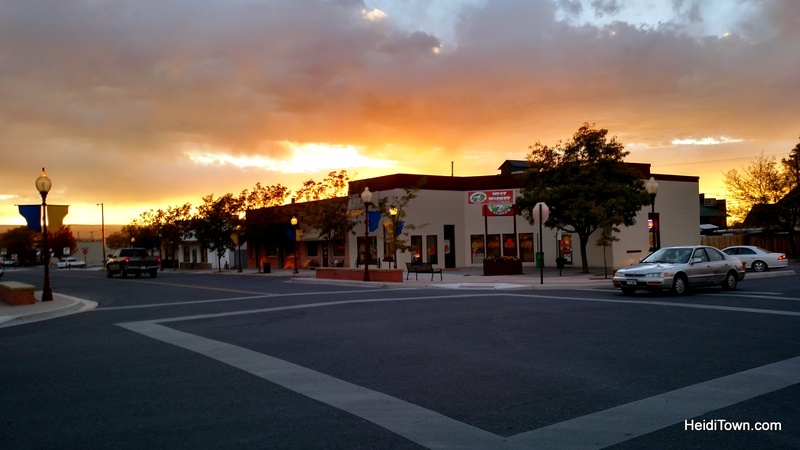 A very nice article, certainly makes me want to visit Montrose.Co. Well you’ve made it to HeidiTown, now you’ve got to make it to Montrose, Shirley! Montrose is a great small town with a BIG heart! We retired here 12 years ago from Illinois and invite you all to check us out!! Thanks for stopping by HeidiTown, Diane. We can’t wait to travel back to Montrose. Thanks for stopping by HeidiTown, Micki! What a wonderful connection you have to Montrose. Awesome review and thanks for sharing. I have been through Montrose many times on my way to Ouray, Silverton etc. but never have spent much time there. I will make a point of doing so.